NO. 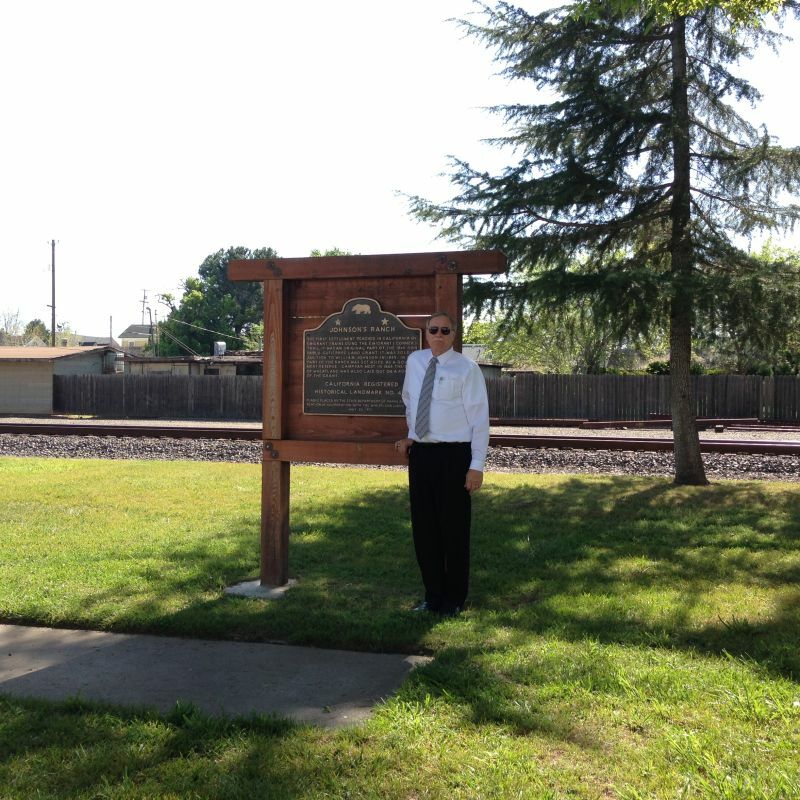 493 JOHNSON'S RANCH - The first settlement reached in California by emigrant trains using the Emigrant ('Donner') Trail, this was an original part of the 1844 Don Pablo Gutierrez land grant. It was sold at auction to William Johnson in 1845, and in 1849 part of the ranch was set aside as a government reserve-Camp Far West. In 1866, the town of Wheatland was laid out on a portion of the grant.